"The Female of the Species" (A Psychological Tragedy) is a short drama directed by D. W. Griffith. This film illustrates the work of our star cinematographer Billy Bitzer. The last four survivors from an abandoned mining village make a desperate trip to safety across the desert. When the only man (Charles West) dies, his wife (Claire McDowell), aided by her younger sister (Mary Pickford), plans revenge against the other woman (Dorothy Bernard) for allegedly having had an affair with her husband. Mary Pickford urges Dorothy Bernard to get going in "The Female of the Species" (1912), directed by D. W. Griffith, cinematographer Billy Bitzer. Dorothy Bernard stays in the background as Claire McDowell buries her husband with Mary Pickford looking on in "The Female of the Species" (1912), directed by D. W. Griffith, cinematographer Billy Bitzer. Claire McDowell mourns the loss of her husband in "The Female of the Species" (1912), directed by D. W. Griffith, cinematographer Billy Bitzer. 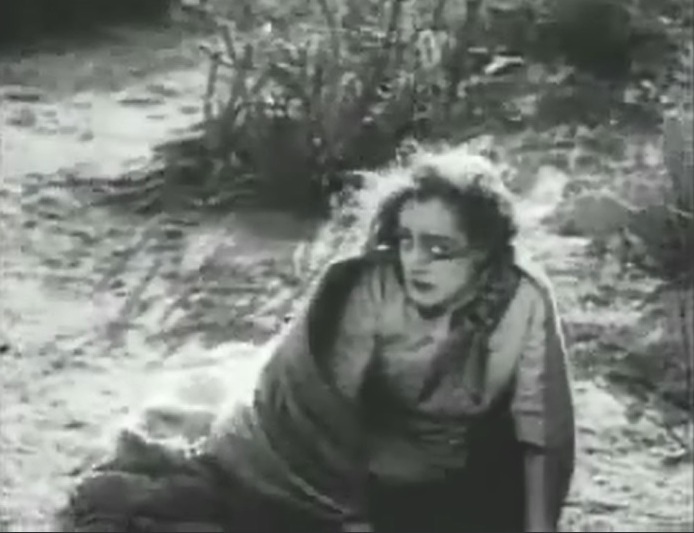 Dorothy Bernard is scared to death in "The Female of the Species" (1912), directed by D. W. Griffith, cinematographer Billy Bitzer. Mary Pickford and Claire McDowell choose the right moment for revenge in "The Female of the Species" (1912), directed by D. W. Griffith, cinematographer Billy Bitzer. Dorothy Bernard seems to be saved as Claire McDowell is distracted by a baby's cry with Mary Pickford looking on in "The Female of the Species" (1912), directed by D. W. Griffith, cinematographer Billy Bitzer.